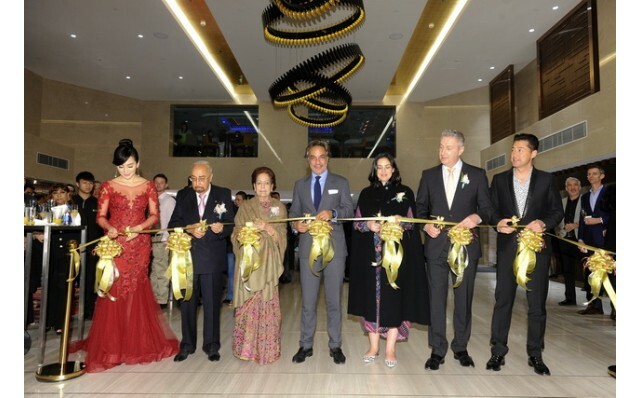 To bring Holiday Inn Golden Mile into a new era, the iconic hotel has unveiled a sparkling new look for its Lobby and Public Areas, created by Design Worldwide Partnership. 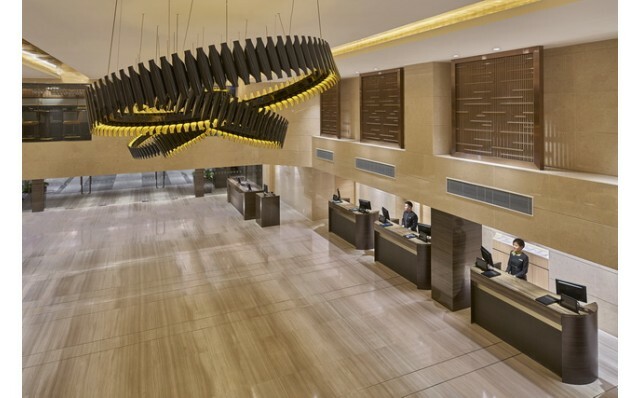 Fusing Hong Kong’s modernity and dynamism with Holiday Inn Golden Mile’s long heritage of warm hospitality, the design reflects both its contemporary edge and the traditions of the well-known hotel. The ground floor lobby, shopping arcade, and outdoor drop-off area have all undergone a dramatic renovation to ultimately aid the hotel’s transition into a new era. During this refurbishment, a large staircase was removed to open up the lobby space as a lounge and activity zone for guests including a dedicated check-in area for IHG® Rewards Club Members. Contemporary design prevails with the incorporation of neutral-themed natural materials, brushed copper and timbers throughout, infused with bolder colours for soft furnishings and a custom-made 4m diameter area rug as well as sculptural seating providing a welcoming environment for guests. Hanging from the high ceiling is a dynamic twisting lighting feature inspired by the legendary dragons of Hong Kong that creates a visual linkage with the famous Hari’s bar on the mezzanine floor and complements the subtly-lit LED mood-lighting of the lobby that changes throughout the day. The design is not the only thing that has been brought up to date within the lobby area. The space also houses the latest technologies that allow guests the greatest convenience with faster check-in and check-out pods and a dedicated concierge desk. Outside, the drop-off area has been finished with granite pavers, extensive new landscaping and lighting elements, while signature planters and signage complete the lobby renovation. This marks the final stage in Design Worldwide Partnership’s design overhaul which spanned a couple of years during which much of the 621-room hotel, including the Executive Club Rooms and Lounge, the three restaurants and bar, and the lifts, has taken on a bold new look while carefully retaining cultural elements of traditional Hinduism and feng shui, the Chinese system of creating harmonising surroundings. 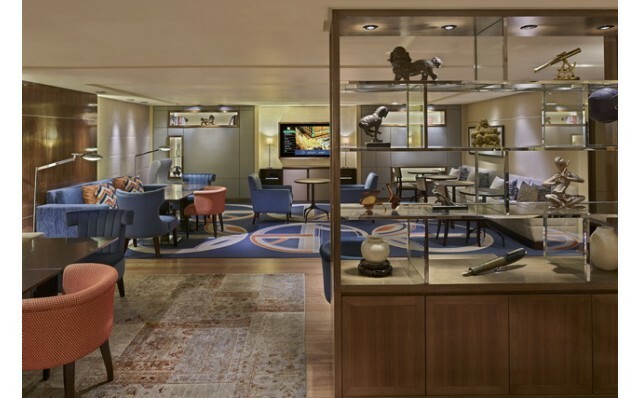 The recently-renovated Executive Club Lounge is one of the grandest in Hong Kong, attracting business and leisure travellers alike with its relaxed ambience and many privileges, which include two private boardrooms and a comprehensive range of business and secretarial services. 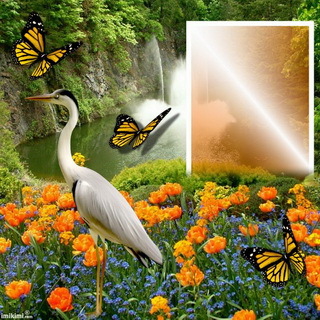 The hotel also boasts a spectacular 7,600 square-feet pillarless Crystal Ballroom equipped with extensive banquet and meeting facilities alongside three smaller, inter-connecting Crystal Rooms that accommodate up to 190 guests. 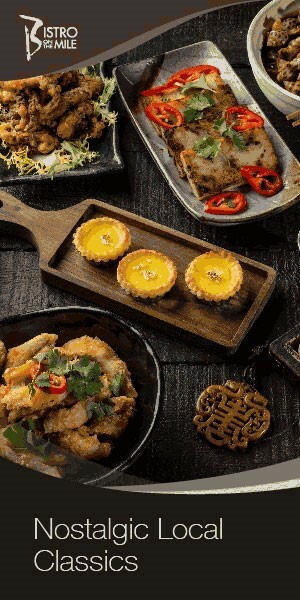 Creating colourful gastronomic experiences are the three restaurants serving different cuisines – Bistro On The Mile, Osteria, and Loong Yuen – and a bar – Hari’s Bar – that meet the palatal needs of all guests. 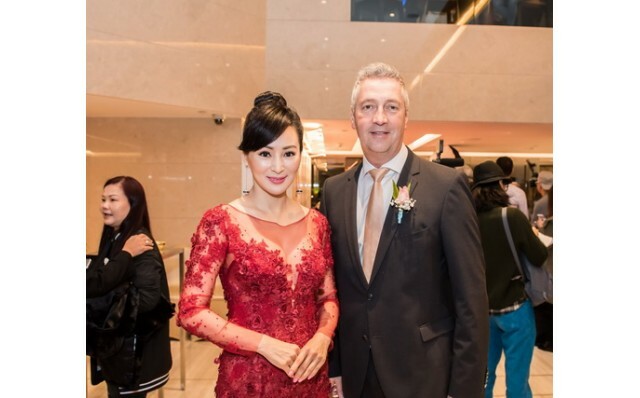 The new lobby launched with a glamourous event attended by Hong Kong’s glitterati, including actor Michael Wong and actress Candy Lo who were welcomed by Dr. Aron Harilela, Chairman and CEO, Harilela Hotels Hong Kong, and General Manager, Holiday Inn Golden Mile, Michel Cottray. Many other prestigious guests celebrated this milestone in the evolution of one of Hong Kong’s most loved hotels while Hong Kong-based performance artist Cornelia Erdmann created an artwork comprised of a golden mile of wire, the finishing touches to which were added by Dr. Harilela and guests. 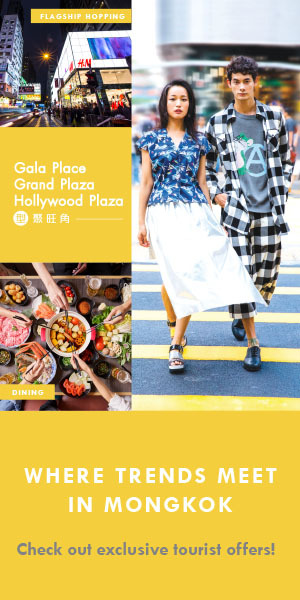 The 120x220cm artwork represents peace, prosperity and happiness and pays homage to the legendary days of Nathan Road and the surrounding neighbourhood where Holiday Inn Golden Mile remains one of the most popular Hong Kong hotels of the last 40 years and an icon of Tsim Sha Tsui. 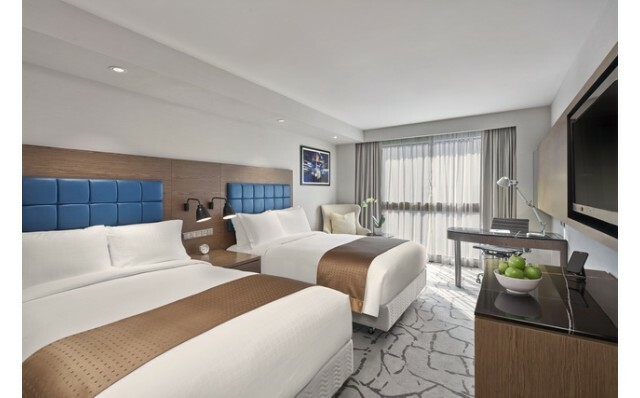 Holiday Inn Golden Mile is one of the many hotels owned by the Hong Kong-based Harilela Group, a dynamic hotel development and management company with 17 properties across the globe. Founded in the 1960s by the late Dr. Hari Harilela, the hotel is committed to preserving its values of honesty and integrity that the Founder firmly believed in. The Harilela Group has introduced its very own hotel brand “The Hari” with the concept of bringing guests a refined and personal hotel experience. The first hotel was launched in London last year while the second property will open in Hong Kong in 2019, expanding the brand in Asia.